Can Kohli lead India to another series \victory? Australia pulled off a sensational heist at Mohali to level the series and set up a grandstand finish in New Delhi. 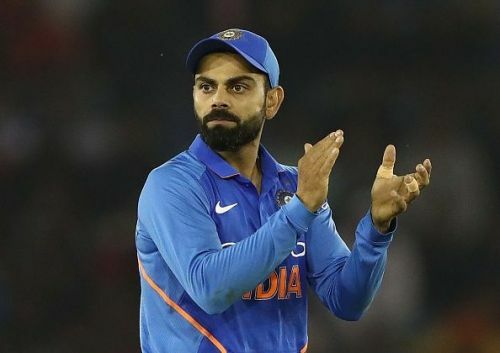 The final instalment of the ODI series is scheduled to take place in the nation’s capital on Wednesday with India hoping to turn around their two-match losing streak. 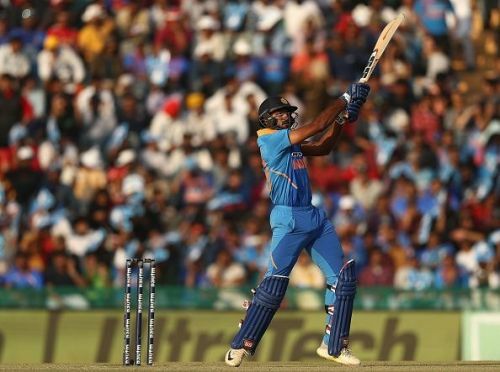 For the game at Mohali, India rang the changes and brought in KL Rahul, Yuzvendra Chahal and Bhuvneshwar Kumar for Ambati Rayudu, Ravindra Jadeja and Mohammed Shami respectively. Though none of them set the stage on fire with their displays, the inclusion of the trio made the Indian team look a lot more balanced. However, courtesy Australia’s victory in the 4th ODI, the hosts might yet be tempted to retreat to the winning formula of the first couple of ODIs. In addition, there were a few tactical aspects that went wrong for India at Mohali and how the home side corrects those could well end up defining the series. Thus, through the course of this article, we would take a look at three changes (tactical and personnel, if any) India needs to make to clinch the decider. After the match at Ranchi, the team management took the bold call of resting MS Dhoni. The wicket-keeper is expected to play at least 14 games in the IPL and thus, a break before the congested fixture list was well-warranted. However, with MS not in the mix, a gaping hole was created in the middle order. And that is where Vijay Shankar could come into the equation. The all-rounder has impressed since being accorded the freedom to bat higher up the order. He was outstanding in New Zealand and looked primed to make a significant impact in the 2nd ODI at Nagpur too. Shankar is a batsman cut out of the classical cloth. Blessed with the ability to effortlessly lift the ball over the in-field, India should explore the opportunity of allowing him to bat when five fielders are inside the circle. Thus, the No.5 spot vacated by Dhoni seems the ideal position for the all-rounder. Moreover, at Mohali, Rishabh Pant attacked the Aussie bowling from the outset with his vast array of strokes coming to the fore. Hence, India could be better served using him as a lower-order dasher.